Experience Bersantai’s wonderful range of massage, facials, manicures and pedicures, including our signature hot stone massages. Maximise your indulgence with a soak in Bersantai’s Balinese outdoor stone baths before your treatment or choose one of our indulgent packages. 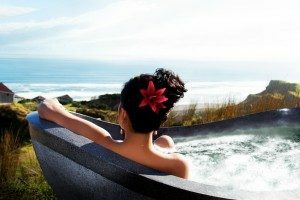 Spa and Dine and Spa and Stay packages are also available.